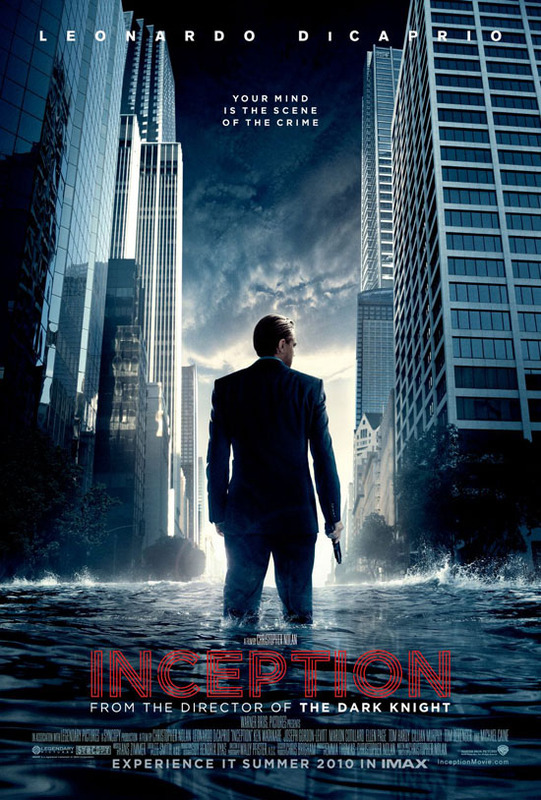 The Billionty-Oneth Geek: Reception: INCEPTION!!!!!!!!!!!!!!!! I wanted to make sure I had two viewings before I wrote about this movie. I originally saw it early last week but came out of it confused mostly because of the first chunk of the movie. At first I thought that it was something intentional, but during my second viewing, I paid closer attention to the series of scenes that made up the first 45 minutes or so, and realized that it wasn't meant to be confusing at all. So I guess on that first time I was either too tired or it was too late of a show... but probably both. As much as I dislike 20th Century Fox and those monkeys there, I love Warner Bros., their goons, and the way they think (monkeys against the goons). Pretty much after the success of The Dark Knight, they cut Nolan a blank cheque and said, go to town! 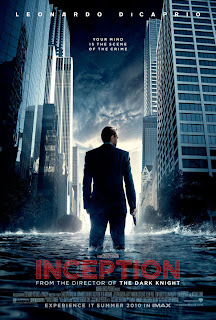 And so to town he went to create this psychological blockbuster that he dreamt up 10 years ago — Inception be thy name! I'm going to skip the story, because: a.) you've watched it already and b.) if you haven't seen it yet, I think it's best going in not knowing anything about it. So when I walked out of the theater the first time, I was blown away and thought, man, that was an easy 9 out of a 10 film. It was fantastic, I thought. But over the next few days, I thought about it a little more and came to my senses. While the movie was good, it was only that: good. It was really closer to a 7.5 out of a 10, which is nothing to be ashamed of. And here's why (skip the next paragraph if you want to avoid mild spoilers). If you think about the whole motivation for the mission, it really is a shallow reason. The sole purpose was just to prevent this corporate entity from monopolizing the energy market. In a 2 and a half hour movie, they spent about 2 minutes talking about this motivation and just left it for the rest of the movie. So Nolan pieced together all these intricate ideas, interesting concepts, tied together by breath taking action scenes, that in a way, was all for nothing. It was a MacGuffin now that I think about it. And if you think about the characters a bit further, really our band of heroes were nothing but a bunch of bad guys. They were hired by a greedy boss to perform a task that was morally wrong. How did we ever really get behind them? Nolan, however is talented in a way that he can create conversations out of his movies, and that itself may even be more powerful than the medium itself; stimulating conversations and having people spur their own ideas. Despite what I wrote in the spoiler paragraph above, there are many things I love about the movie. All the effects and action were gripping, with the zero gravity fight probably being my highlight. Even though it was supposed to be a futuristic movie, I loved how they kept all the technology lo-fi. All there was to it was a briefcase with some wires and a rubber button, that's all. If this were a Michael Bay movie, it would have been balls to the walls full of hi-tech, geekgasmic technology, which would of taken away from the story. Also despite the weak story, I loved all the different ideas and concepts that they pieced together in explaining the dream philosophies. They're very rich and layered ideas, and it's only regretful that they couldn't get into this more. That said, having had many discussions with different circles of friends, most of the topics of conversations came back to discussing these ideas rather than the story itself. A testament to creativity. As I mentioned on a previous posting, I love team based movies, and going in, I had no idea that this too would be a team based movie. You had the financial backer, the architect, the chemist, the forger, and the two greatest 'extractors' on a team. Each was skilled in a different area, it's something I love seeing in movies. The casting for this movie is too amazing and it'd be futile to list off each actor. But I will say that my favourite had to be Eames played by Tom Hardy, who completely owned it last year in Bronson (watch this movie if you haven't had the chance yet). His demeanor and delivery worked so complimentary with the rest of the more serious cast. Lastly, perhaps my favourite thing coming out of the movie was the score created by Hans Zimmer. It is very Dark Knight like and I love the atmosphere that it helps to create. All the music has this deep and rich kind of sound which fits perfectly with the movie. And also, it was perfect for my gaming. I've been playing Just Cause 2 on the Xbox 360 and had the Inception score play in the background. Intense gaming! What the movie does exceptionally is wow the audience with its visual style, its action scenes and effects. It's a summer blockbuster action movie to the T. It is definitely not the best movie of the year or summer (thank you Toy Story 3! ), but it is still a cut above the rest and a solid movie at that. Check it out [again]! Later geeks! I love Hans Zimmer, I downloaded the entire inception soundtrack- it was amazing.